Fair Market Value (FMV) payment is not a new concept to the life science industry. It has for many years now been an established way of working in the payment for healthcare professional services and with the advent of the Sunshine Act, delivered widespread transparency for all with interest in healthcare, particularly patients1. This is as yet unreciprocated in Life Science interactions with patients themselves. For what services should patients receive financial recompense and how much is reasonable? Whilst guidance remains an outstanding gap, subjective opinions vary and reputational risk for both parties remains unacceptably high. Frustration is apparent amongst patients working with pharma today. Payment disparity exists between different functional expertise engaged by the industry (be that physician, nurse, payer or patient), but also within different patient populations. It is important to acknowledge that not all patients are the same and that not every engagement is the same. A potential framework from which to generate consistent appropriate fair market value payments has to be built on definitions of the service type being delivered. In essence this breaks down to Consultancy, Advice and Research, with Research further divided into Clinical and Market. At the consultancy level, the services will be targeted towards strategic and organisational deliverables. Problem solving will be wide ranging with significant business impact. A good example could include, ‘How does company X organise its resourcing and infrastructure to turn patient engagement into business as usual activity’. Fair market value payments for these services will need to be reflective of existing consultancy payment levels. In reality this will represent an extremely limited number of patient interactions. Most debate and risk probably exists at the advisory level today. With much hype around patient centricity, the Life Science Industry has been reaching out to patients to get the patient perspective on the research they participate in and the medicines they are prescribed. Patient associations have historically acted as a buffer between the industry and the patient, but today the granularity of the patient advice has and will increasingly become a critical differentiator in the delivery of more efficient studies and medicines that the patient values. Patients are now being asked to participate in advisory boards, previously restricted to other stakeholders such as the physician, and being asked to co-create patient solutions with in house teams. Proportionally the number of testimonial advice that patients are providing to pharma teams is falling. Whilst remaining an important reminder of the importance of the work pharma teams are doing, these testimonials have sometimes served self-interest by reinforcing the industry’s perception that it is indeed doing wonderful work and doesn’t need to do anything differently. At the clinical research level, no professional service payments should be made for active participation in studies undertaken, where financial inducement could bias the scientific validity of the research. Clearly there are mutual imperatives and objectives in the clinical development of science and medicines that benefit sponsor and patients alike. It is important that participants in the research programmes fully understand the risk and benefit to themselves and their carers. Patients have received payment for insights derived from market research through focus groups or indirectly benefit through research conducted through online communities where payment has been made to the platform providers. Perhaps it’s in the latter group where increased payment transparency is also required. These market research insights help inform internal company decision making and can improve medicine development/access and patient pathway solutions. 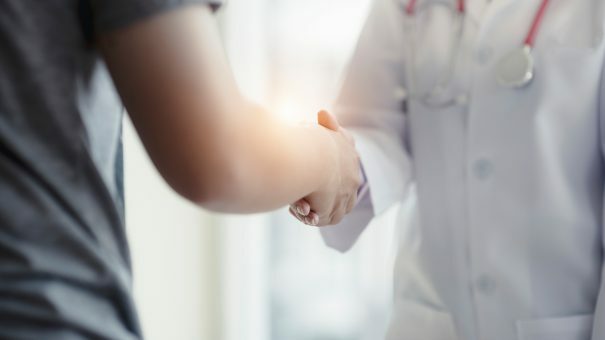 Patient involvement, irrespective of whether it is or is not associated with payment, should be aligned to the principles of patient centricity outlined in a collaborative definition framed by patients and Industry representatives2. In the future, patients will be empowered with their own integrated health, banking, wearable and shopping data which will increasingly become a tradeable commodity. That day is getting nearer and nearer and will revolutionise the existing status quo. In the meantime, FMV guidance for patients is needed today. Industry standards need to be set which generate the trust and transparency required to ensure medicines are developed with patients, not just for patients. The successful adoption of that guidance will be determined by the simplicity of its implementation and the broadness of its transparency. It will also smooth the way for the future in which the patient increasingly becomes the gatekeeper of tomorrow’s research. Guy Yeoman qualified as a physician and worked in the NHS before joining the Life Science Industry in 1999 where he has spent most of his career working in clinical development and medical affairs roles. More recently he built a patient engagement capability at a large pharmaceutical company and has co-authored the book “Patient Engagement for the Life Sciences”. At MediPaCe, he now works with Pharma Companies to make patient engagement a reality. Trishna Bharadia is a multi-award winning patient advocate with specialisations in multiple sclerosis, chronic illness and invisible disability. She collaborates with multiple stakeholders, including industry, the third sector and clinicians, to get the patient voice heard louder, stronger and more effectively throughout the healthcare journey and drugs development lifecycle. Her work includes public speaking, consultancy, writing, co-creation of services and information, content development and reviewing of patient-facing health literature.